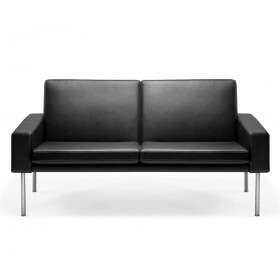 EJ 50, beautiful leather sofa - 2 or 3 seats - by Erik Ole Jorgensen, with stainless steel base. 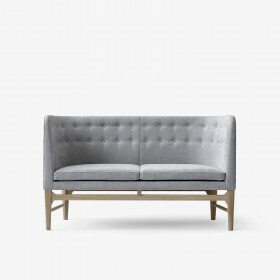 Design Anne Mette Jensen & Morten Ernst, 2009Sofa - 2 or 3 seater - with low or high back, only in fabric and with lacquered aluminium legs. Erik Jorgensen design. 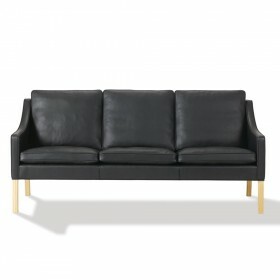 Club sofa - 2 or 3 seats - with solid wood base. Design Fabricius & Kastholm, 1968. 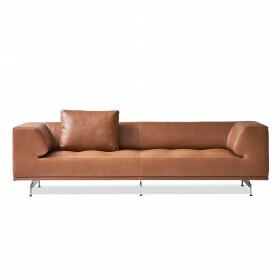 Sofa in leather. The unit comes as a 1, 2 or 3-seater or even longer. Borge Mogensen design, 1963. 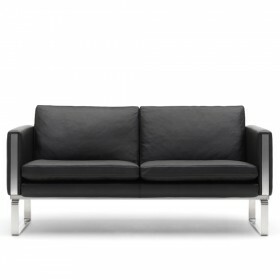 Leather Sofa, 2 or 3 seats. Front and back sides fully upholstered and covered with leather. Cushions in a blend of goose feather and foam of different densities. Borge Mogensen design, 1963. 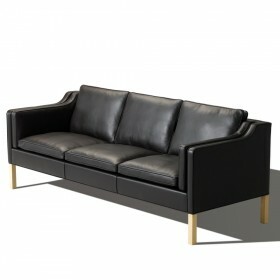 Leather Sofa, 2 or 3 seater. Front and back sides fully upholstered and covered with leather. Cushions in a blend of goose feather and foam of different densities. Beautiful fabric sofa bed with 3 seats. Includes a mattresses with inner springs inside for real confort, in length 190, 200 or 210 cm. 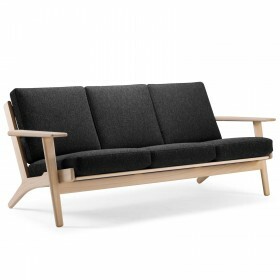 The CH100 sofa by Hans J Wegner is definitely contemporary. It was at the time of its creation in 1970, and still is today! The exposed supporting structure in stainless steel and the sofa’s cubic design make it an essential piece for exquisitely designed rooms! 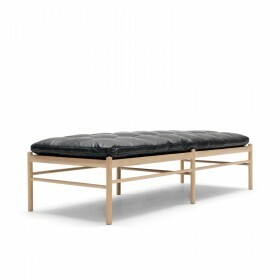 The CH160 sofa by Hans J Wegner is simple and asymmetrical. The side armrests are completely filled and covered in fabric or leather, which elegantly highlights a design detail on the solid wood structure. Just one of the many details carefully added by the master Cabinetmaker. 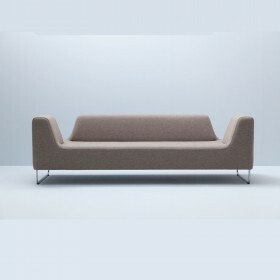 Norway Says design, 2003 Ugo is a modular sofa, available in three different sizes to combine and assemble for the perfect shape. The Ugo sofa is ideal for open, public spaces such as museums, exhibition centers, lounge areas and hotel lobbies, but is also suitable for private houses and any interior with a modern design. 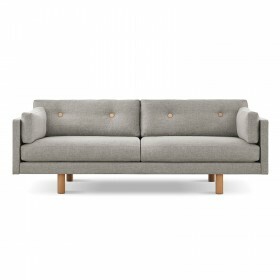 Elegant three seaters sofa with modernist and organic lines created by the Danish designer couple Nanna and Jorgen Ditzel. 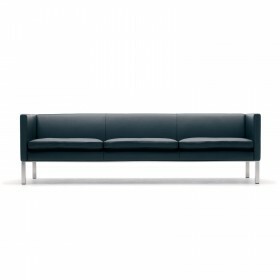 2 or 3 seater reception or office sofa with straight and modern lines, designed by Hans J. Wegner. 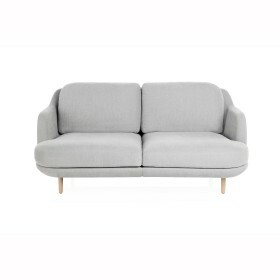 2 seaters sofa of the About serie from the young contemporary danish designer Hee Weilling. 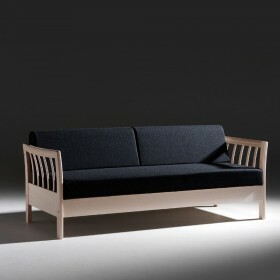 Small sofa that is inspired from the colonial style by ole wanscher in 1964. Design Hans J. Wegner, 1948. 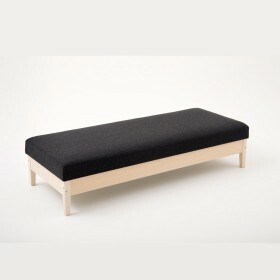 Venus bench is now presented in a new light, relaunched by Danish maker Getama. Its solid oak frame combines harmoniously with backrest and seat in plywood-walnut, with a fabric or leather upholstery. 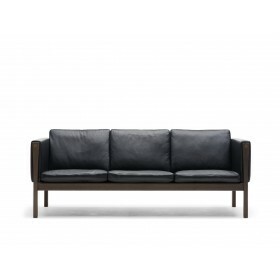 Design byKATO, The A1 couch has been designed by Danish maker Andersen with a strong focus on comfort but its timeless and pure design combined with hight quality material makes it appear stylish and gracious. 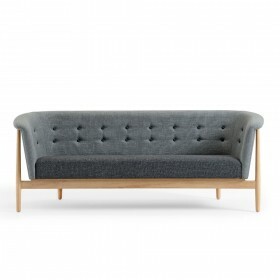 The mayor sofa designed in 1939 by Arne Jacobsen is very slim and confortable with a high seat. The easy aesthetic appeal and fonctional line of the EJ 220 A allied to the high comfort of its seating allow it to be the perfect every day sofa. 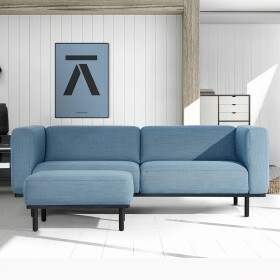 The lune modularsofa is born from a new collaboration entre the Spanish designer Jaime Hayon and the danish editor Fritz Hansen, it allies fonctional and refined design with a curved and feminin line, a creation thinked to be harmonious from any angle. Design Jaime Hayon, 2011. 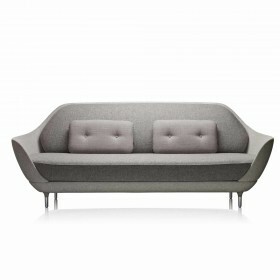 The Favn sofa has an original and elegant design embodied by voluptuous curves. 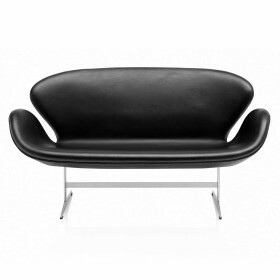 The Swan sofa has a sculptural beauty, created by Arne Jacobsen for the Royal SAS hotel in Copenhagen at first, it is reedited by Fritz Hansen. This convertible daybed can be used as a singl bed or as a sofa bench puting some cushions for the back seat against a wall. 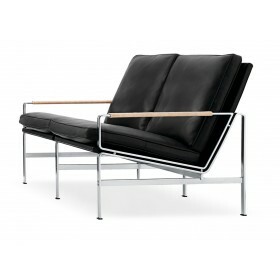 2 seaters Sofa designed by Arne Jacobsen in 1939. 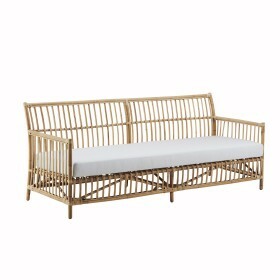 The Caroline 3 seater sofa is exclusively made of natural rattan in its indoor version but also offered for an outdoor use in synthetic fiber. It will bring a scandinavian and cosy tuch to your ambient. 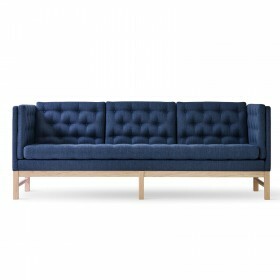 The Charlottenborg sofa has smooth and elegant curves, its design is original as well as it is timeless. It can fit any kind of space indoors or sheltered oudoors , bringing an elegant and poetic tuch. 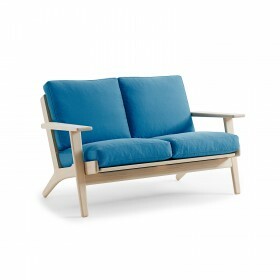 Sofa GE290, 2 seats , Hans J. Wegner, 1953 The 2-seat GE290 sofa has a solid wood frame available in oak or beech. 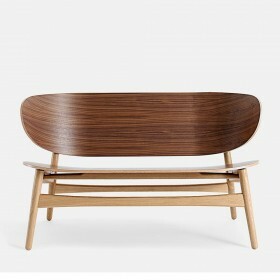 This sofa is an great example of the remarkable work of wood by the designer and cabinetmaker Hans J. Wegner. Its lines are simple and pure. And its cushioned seat invites to a great comfort. 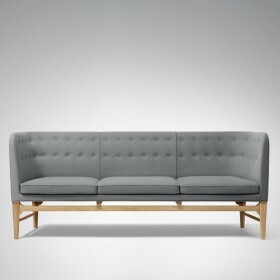 Sofa GE290, 3 seats , Hans J. Wegner, 1953 The 3-seat GE290 sofa has a solid wood frame available in oak or beech. 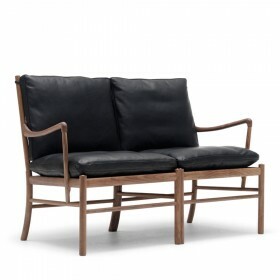 This sofa is an great example of the remarkable work of wood by the designer and cabinetmaker Hans J. Wegner. Its lines are simple and pure. And its cushioned seat invites to a great comfort. Design Jaime Hayon, 2017 The Ro sofa created by Jaime Hayon for Fritz Hansen has an elegant and poetic design, it was created with the idea of beeing in a special space where one can meditate, relax and read. « Ro » wich means peaceful in danish perfecly ilustrate this wish. The bent sofa has a slender and elegant line, allowing it to be associated with all type of furnitures in any kind of space. Design Ole Wanscher, 1949 The delicacy of the OW150 day bed lines represents the work of Ole Wanscher, who designed the furniture in the Colonial collection. 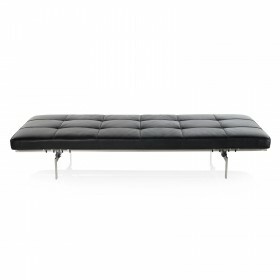 Design Poul Kjaerholm, 1957 The PK80 daybed is a perfect balance between form and the chosen materials. It is minimalist but sophisticated. Its cushion can be upholstered in leather or in canvas Natural. Its base is in satin stainless steel.The PK80 day bed is in the galleries of the Museum of Modern Art in New York since 2004.